You guys, we had so much fun at this whimsical circus party! 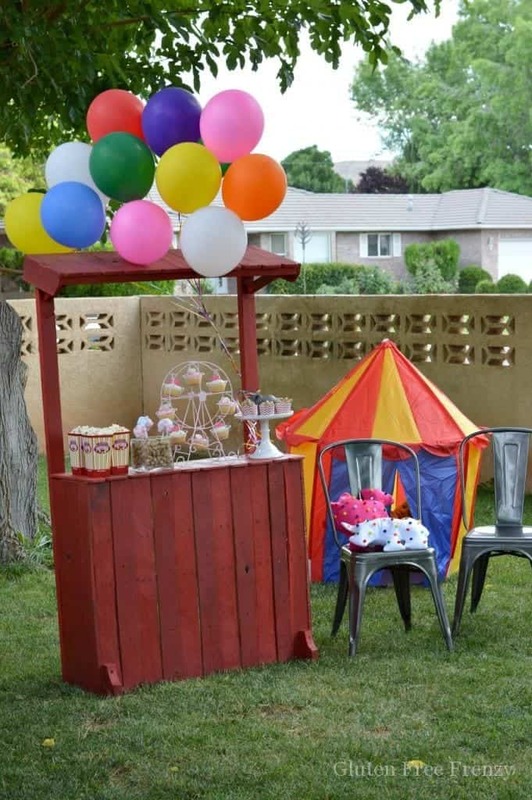 I have always wanted to put together a circus themed party but never liked the solid primary colors that I had seen all of the other ones on Pinterest feature. I wanted something more whimsical, bright and cheery because that’s who I am. 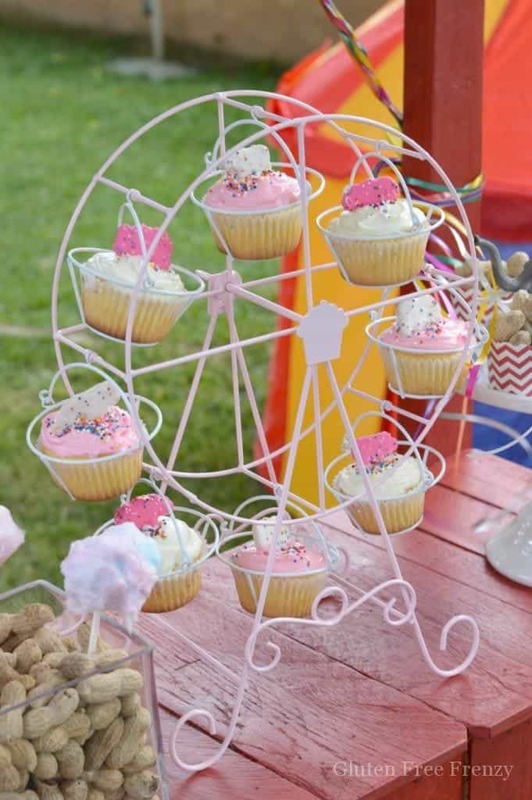 I figured that since animal cookies are one of my favorite things ever, it would be so perfect to work the bright sprinkles colors into the party I was styling. 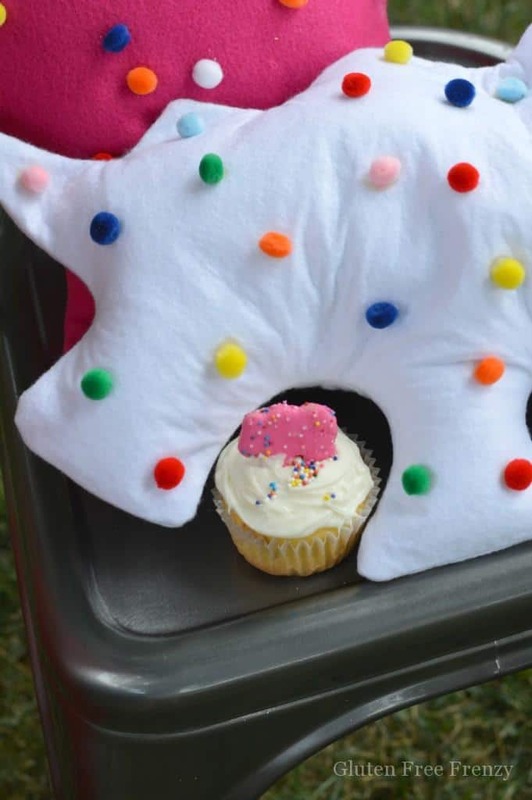 This year I mastered the art of making gluten-free frosted animal cookies (a huge deal for me to be able to have them again) so incorporating cookies into the dessert bar AND decor seemed fitting. 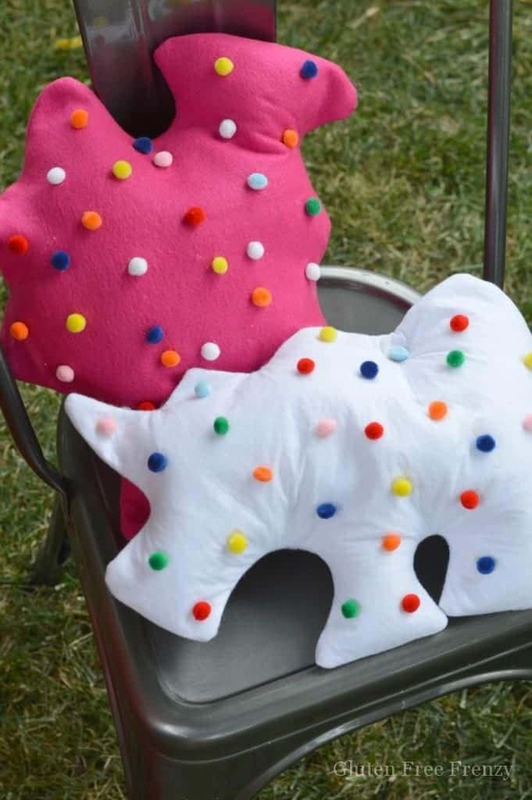 I had a friend help me make these darling animal cookie pillows from Studio DIY and they could not have turned out cuter! 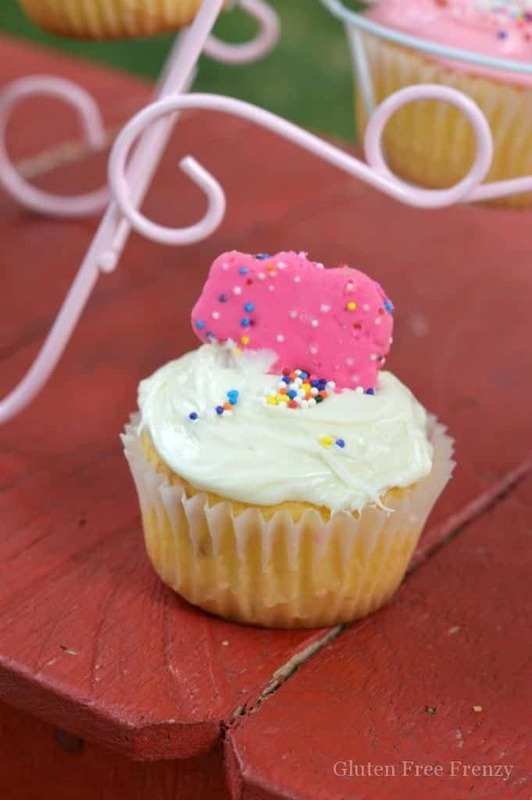 We then needed one more way to tie animal cookies in so these cupcakes worked out perfectly. 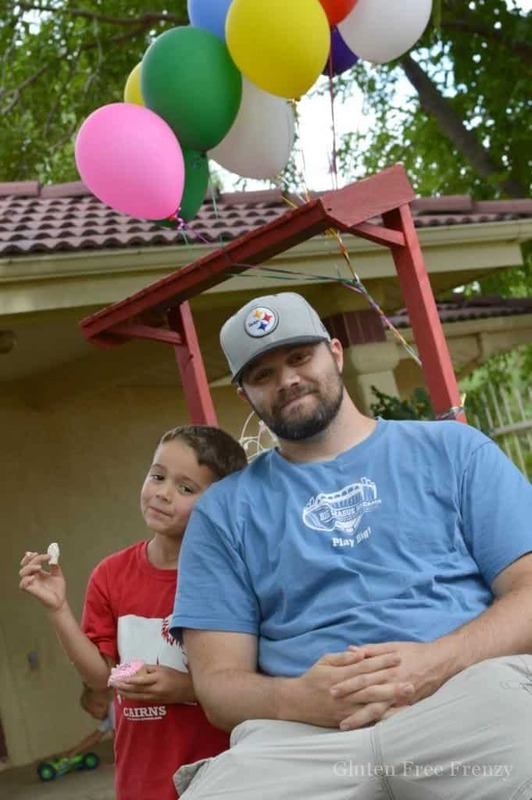 Having the balloons in all the sprinkles colors was a happy visual for the party as well. 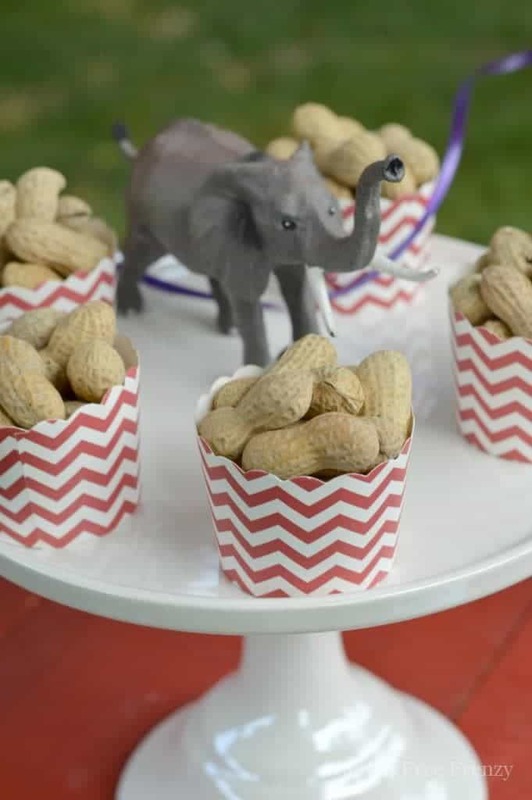 Of course, super tasty treats were at the top of my list so in addition to the animal cookie cupcakes, I added mini circus striped cups filled with roasted peanuts all styled on a white cake stand with a toy elephant. 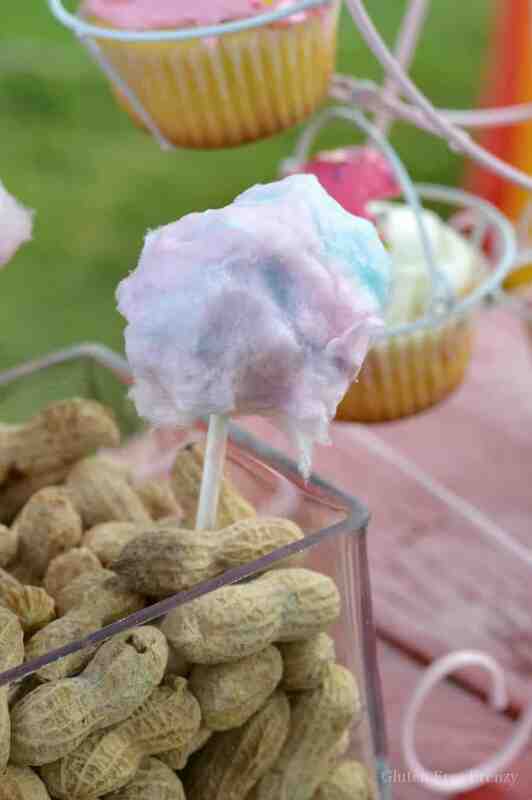 Cotton candy cake pops & fresh popcorn were the other treats that just fit too well not to include on the treats bar. I have a whole tutorial for making the cake pops below so be sure to scroll all the way down. 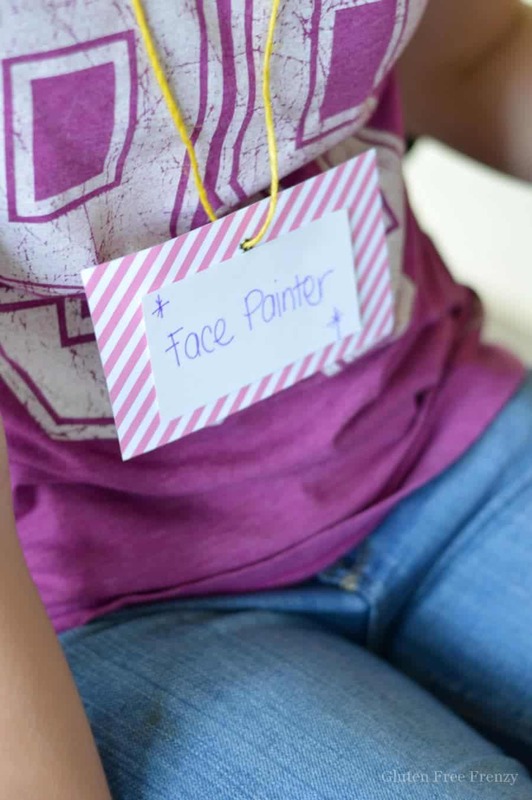 In addition to the rockin’ whimsical circus party theme, I wanted some fun party entertainment that didn’t go overboard. 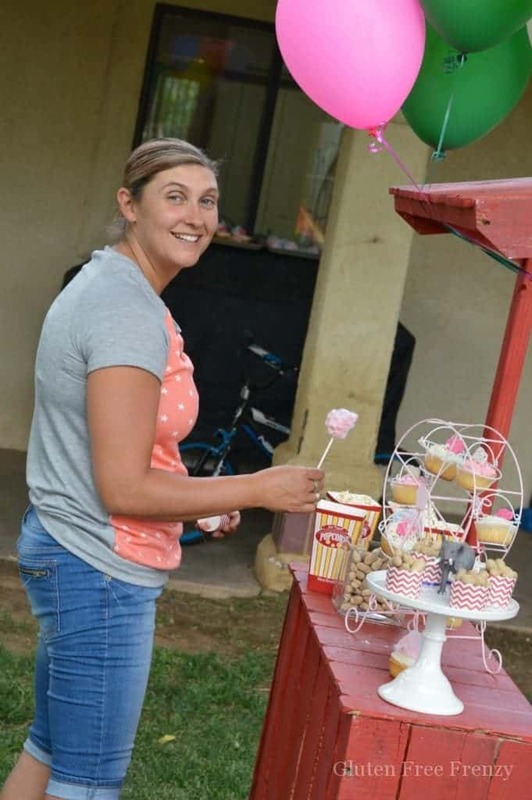 After all, this wasn’t a birthday party or anything, it was simply a friends backyard get together. 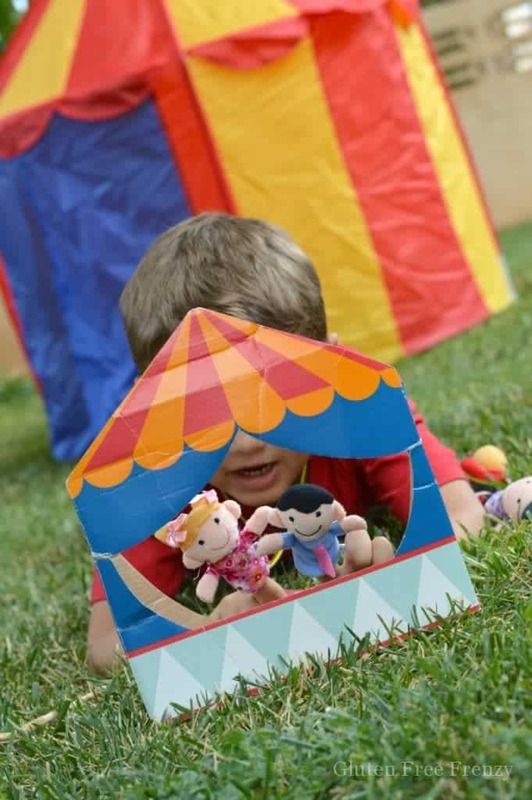 I thought some face painting, a little ring toss game, mini circus puppet show & a make shift ball pit would be fun for the kids. For the ball pit I put a bunch of colored balls into our enclosed trampoline and let the kids go wild. They thought it was a blast! 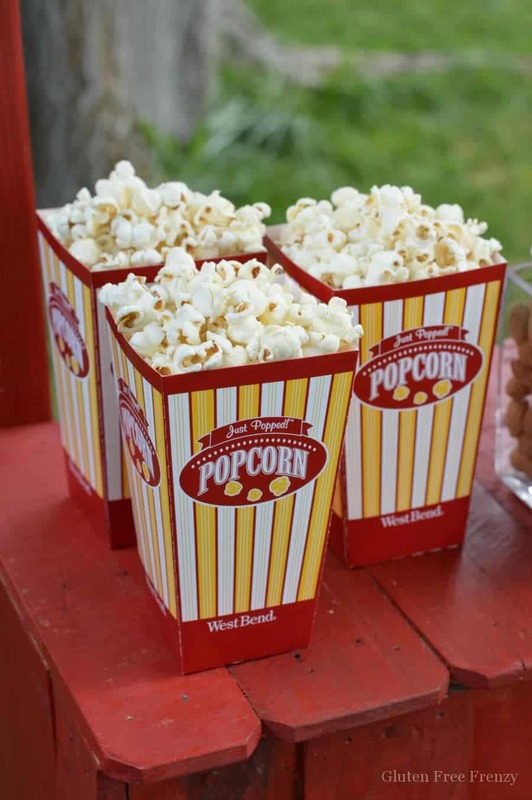 Remember that when you put together any party, it’s ok to go small on some things (like I did with the games) and bigger on the others (like I always do with the food). 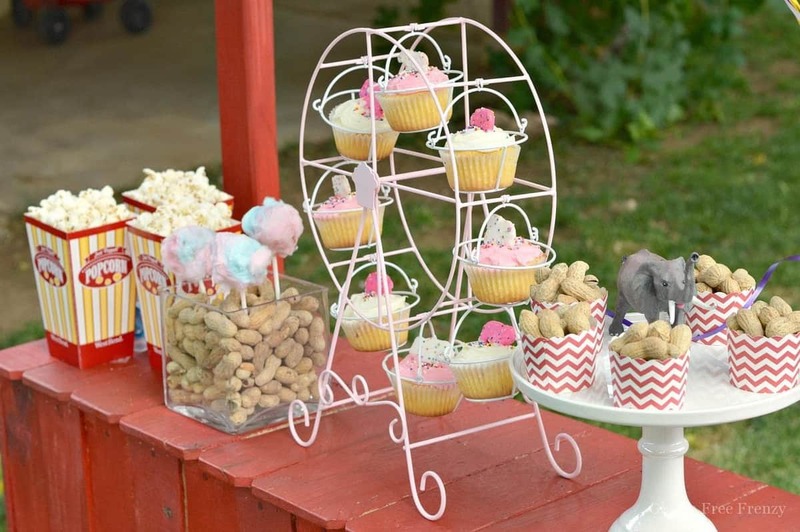 Having a few pieces of decor that pop, like our dessert stand, circus tent and animal cookie pillows will pull together the look of your party really well. 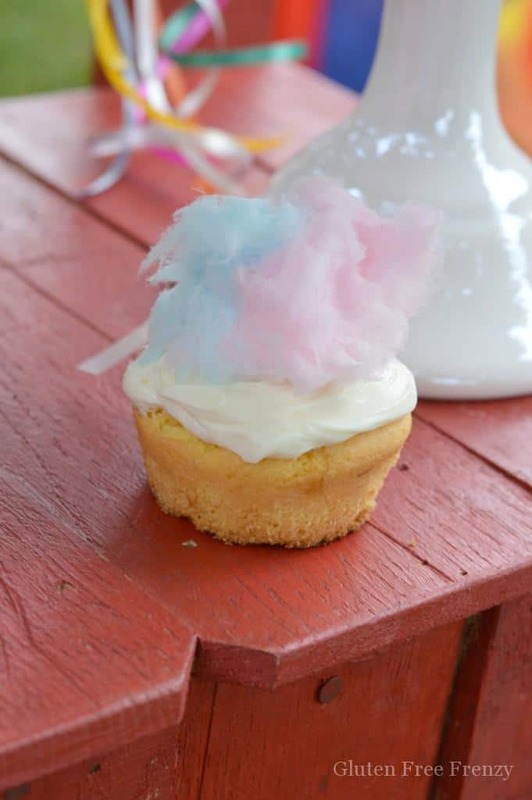 These cotton candy cake pops are so delicious and incredibly easy to make. Prepare your gluten-free cake, crumble and add 1 C of prepared frosting. Press together into balls. 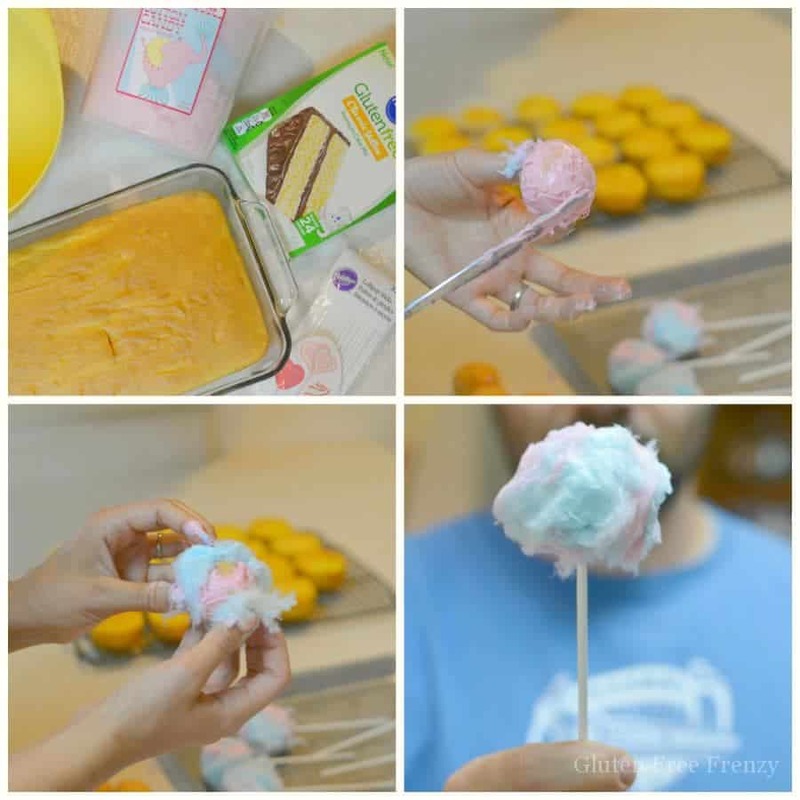 Frost each cake ball with additional frosting then wrap in cotton candy. 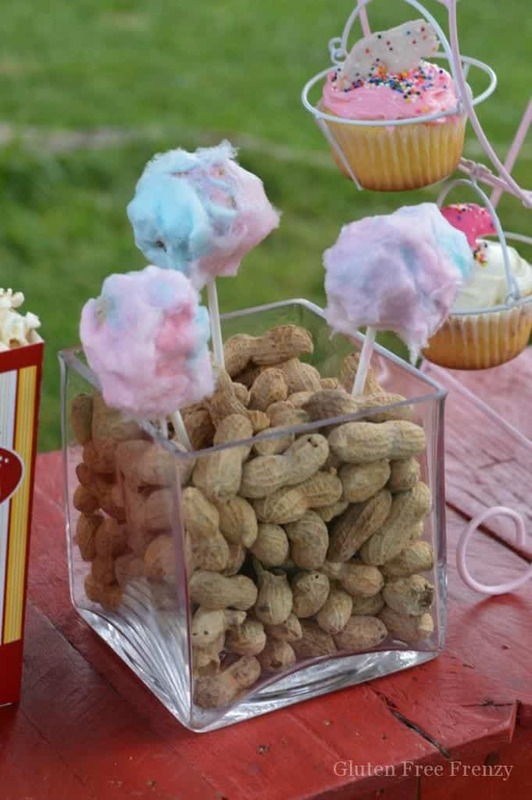 Press each with a lollipop stick and serve. 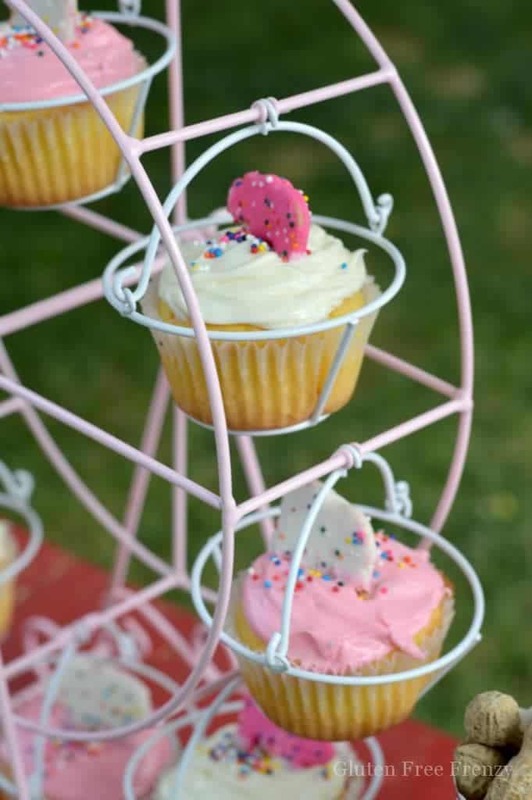 I promise you, your guests will love you for these fun treats when you make them for your very own whimsical circus party! 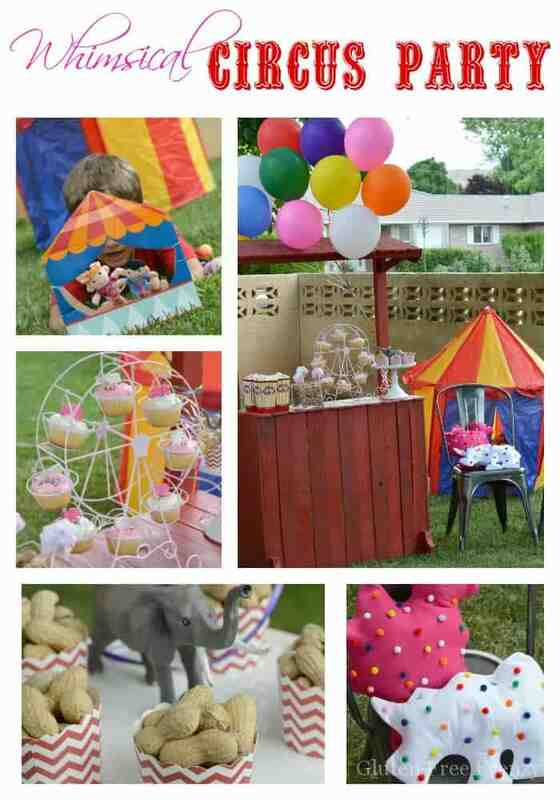 We had so much fun at this whimsical circus party! 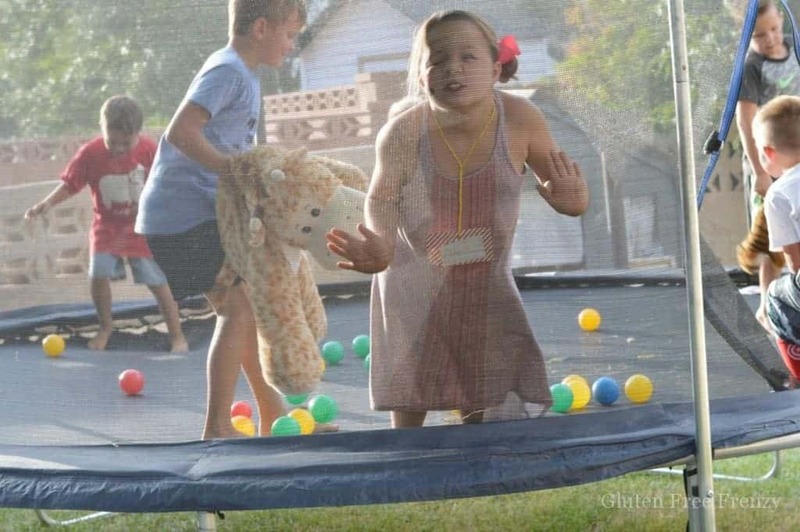 I love that outdoor parties aren’t out of the question just because we have severe environmental allergies and eczema. I found out I had really bad allergies to all grasses last year and have been extremely mindful of what I put on my skin and clothes. 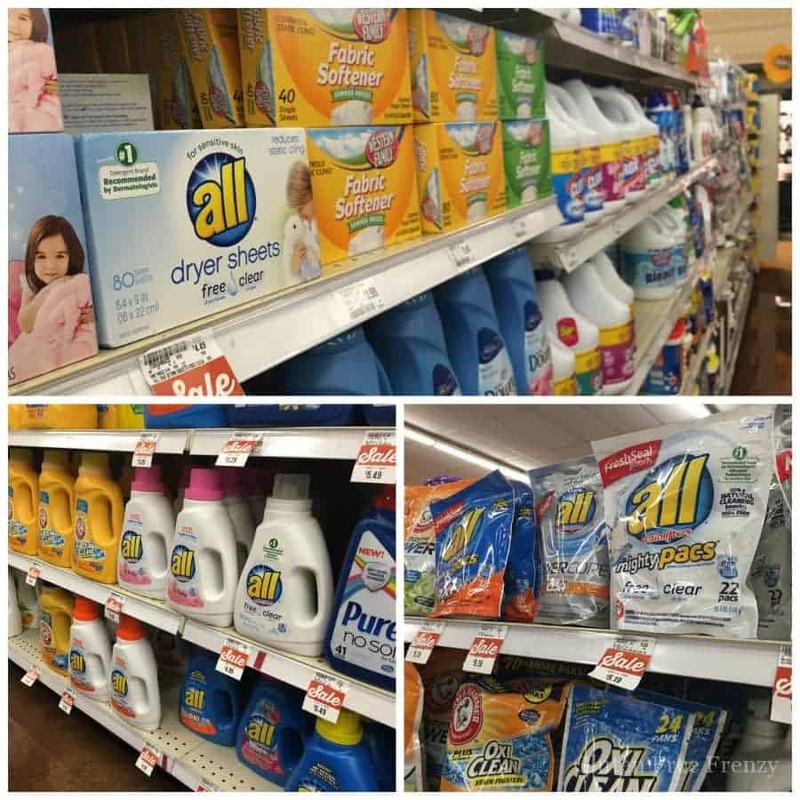 Before even connecting with all® free clear for this project, I was using and loving their products. I trust them because they are the best for mine and my families skin. 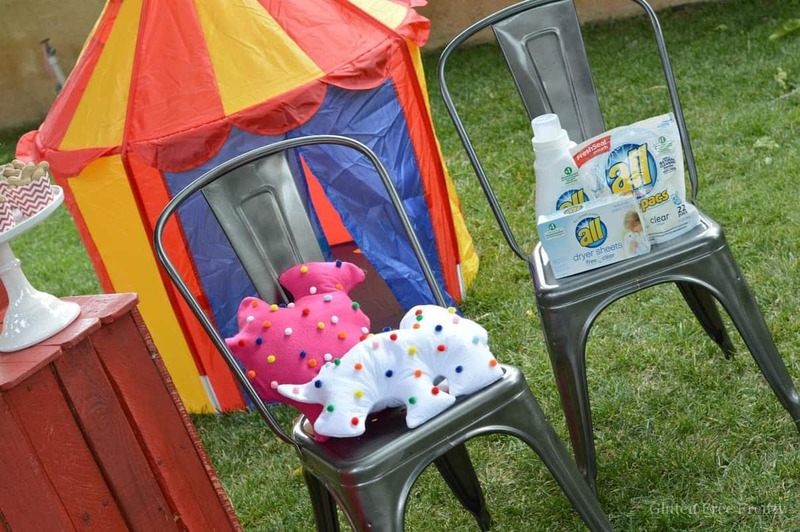 All® free clear is the #1 sensitive skin brand and the #1 detergent recommended by dermatologists, allergists, and pediatricians for sensitive skin all® free clear detergent. 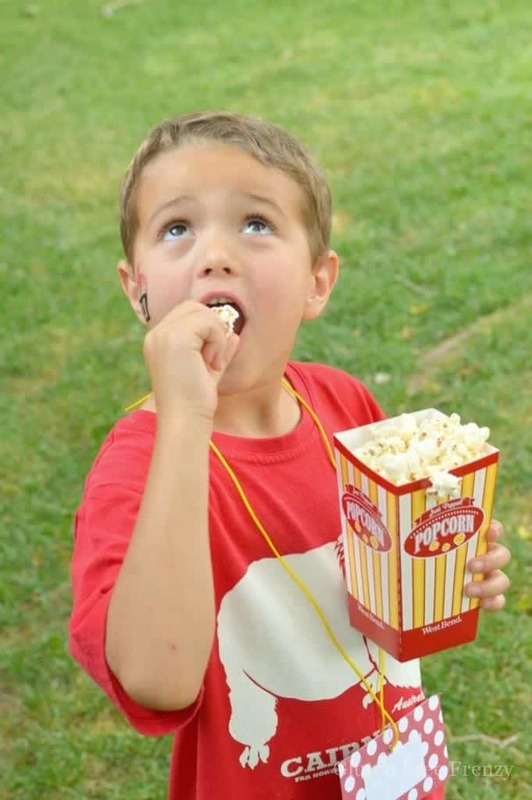 So in addition to my thinking they are fantastic, so do the professionals. 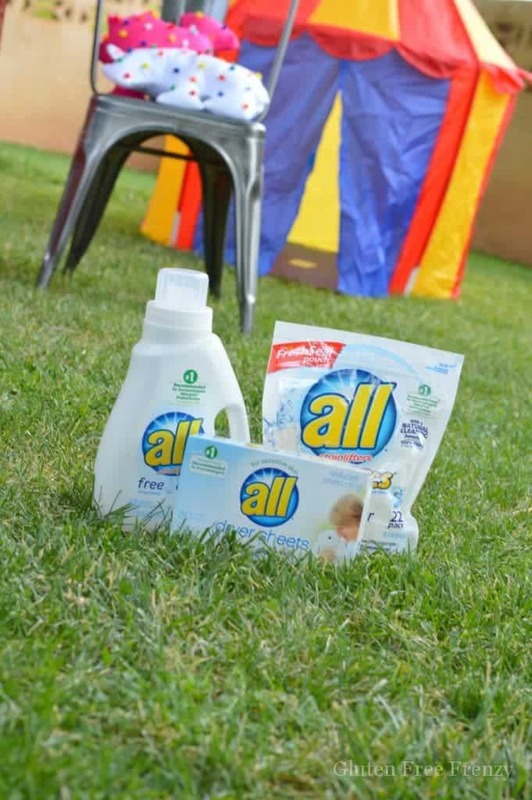 Since I have such bad grass allergies and my oldest son has eczema, I especially love that all® free clear detergent removes 99% of everyday and seasonal allergens including cat and dog dander, dust mite matter, ragweed, grass, and tree pollen. 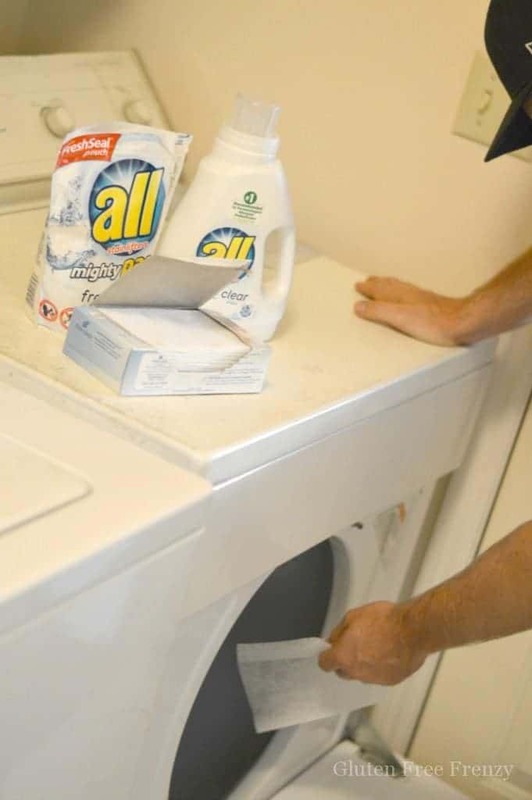 I should note though that all® free clear is not intended to treat or prevent allergies. 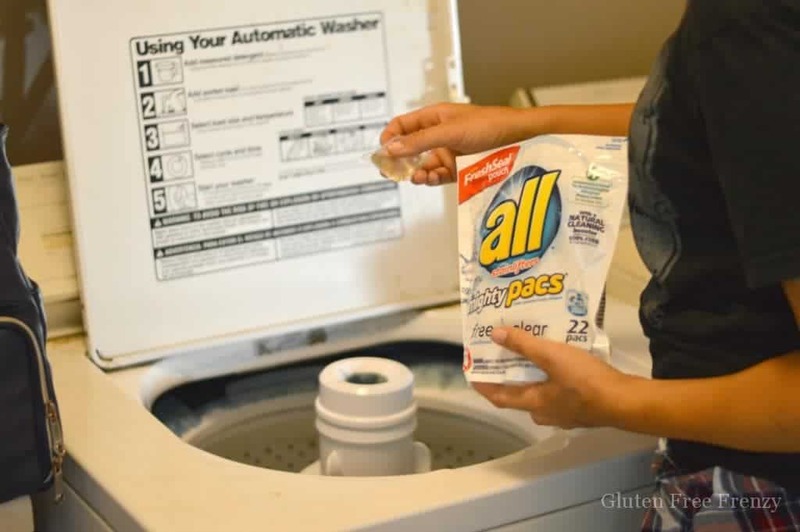 The all® free clear fabric softener and dryer sheets are an excellent pairing to the detergent. 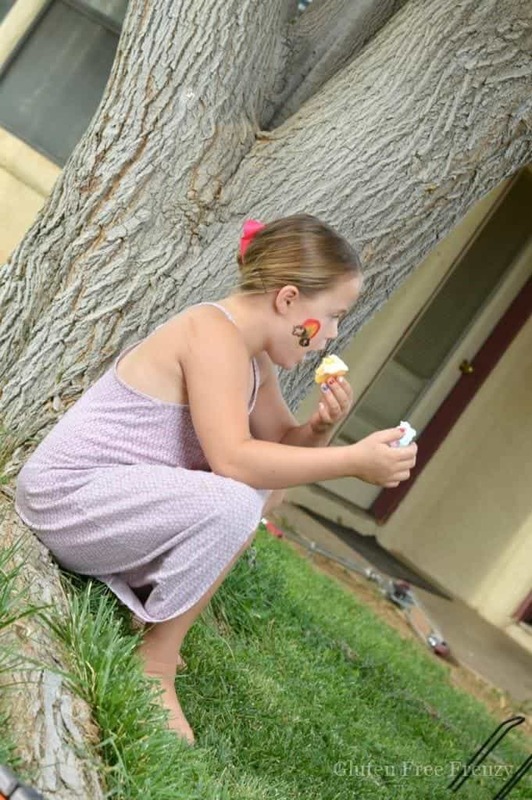 I know that we personally like that clothes we are wearing right next to our sensitive skin have been tossed with all® free clear brand which were awarded the Seal of Acceptance by the National Eczema Association. 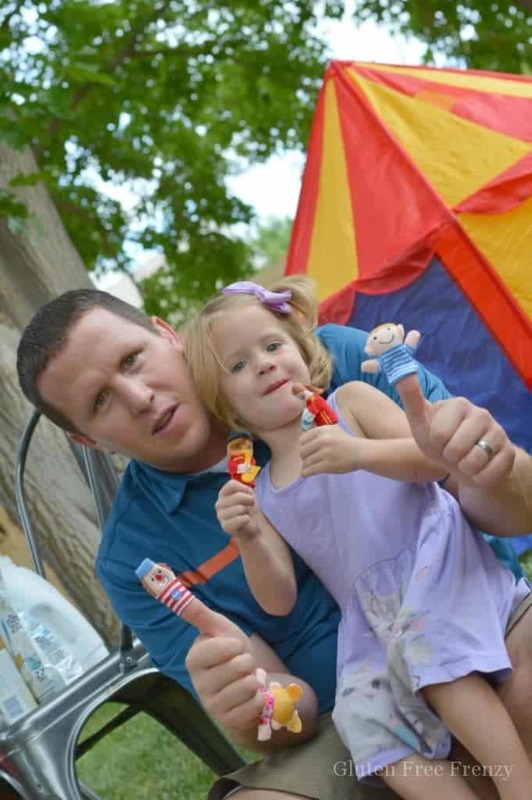 By using these products, I am able to feel confident in knowing that I am making it easier for my family to enjoy playing in the grass with everyone else while preventing further allergy issues. 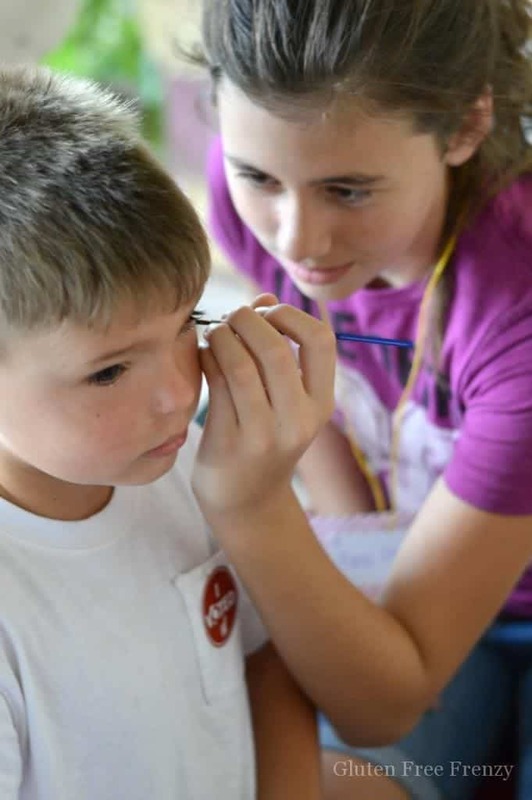 We truly are #FreeToBe thanks to all® free clear products. *It is important to follow the directions on the packaging exactly. We found these products at our local Harmon’s grocery store. We caught them on a lucky day because all the products we needed were on sale. Sweet! 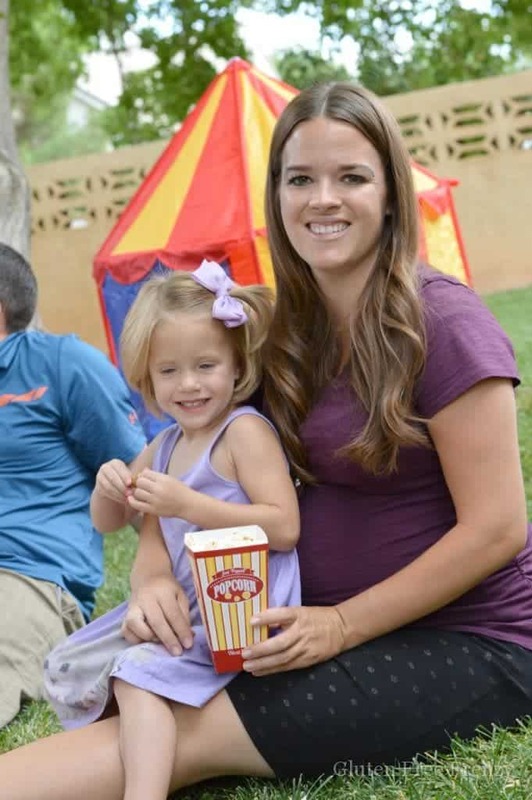 You can continue the conversation by joining the all® free clear community and connecting with parents just like you! Visit them HERE. Thanks Emily, it sure was fun! Aw, thanks so much Jessica! 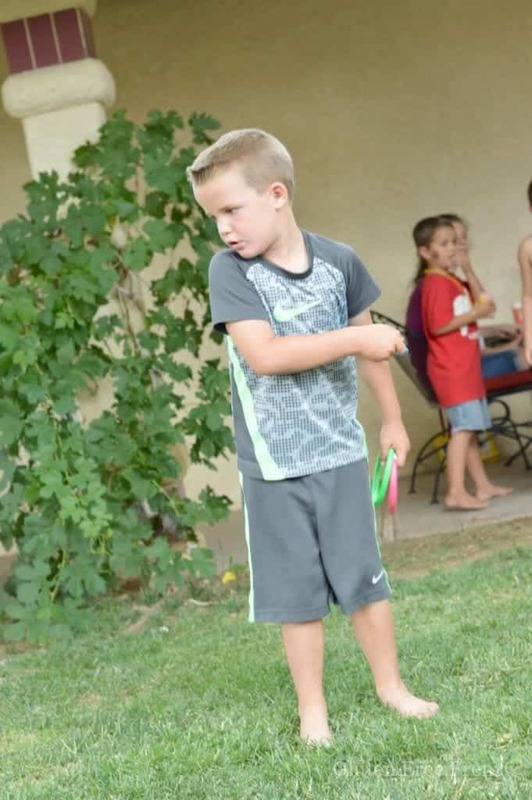 That means alot coming from a great little party planner like you!! 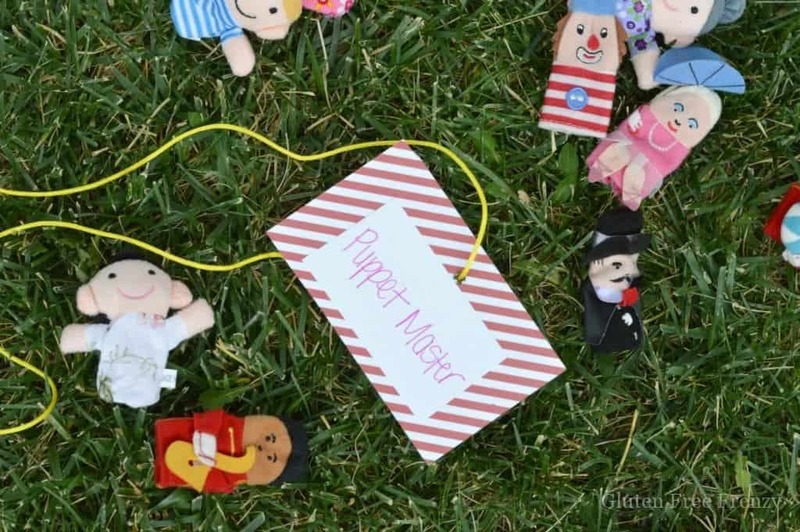 What a fun idea especially for summer time! I LOVE the idea of the cake pops and the way they turned out with the cotton candy wrapped around them. Also, we have a house full of sensitive skin. I must say we will have to give All laundry detergent a try now. Thanks for the suggestion!